Each Wednesday we’ll answer the on-going question: “What do I wear with these?” It’s a question we get quite often here at the shop and we love giving suggestions when helping our customers. This week we feature the n.d.c. Charles for men. This week we have decided to help the guys out with some fashion styling. The n.d.c. 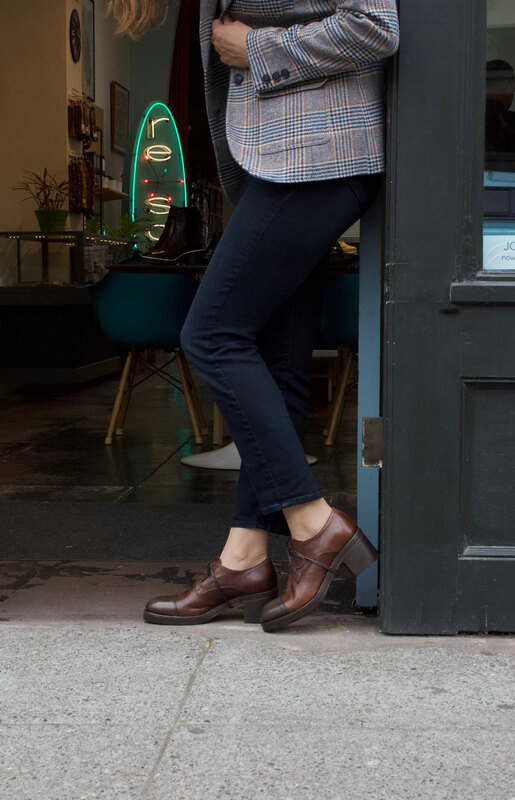 Charles work boot is the perfect compliment to the weekly uniform of jeans, shirt and sweater. They also looks quite handsome with a pair of cords and a wool pea coat. This boot with it’s lug sole and supple weathered upper, won’t let you down if you get caught in a downpour. Accessorize these looks with a knit cap, a watch and carry a stylish leather bag to conceal your commuting essentials. > Men’s lusole work boot, n.d.c. “Charles” in Flint, $668, made in Portugal. > DeNada Design slouchy knit beanie in charcoal, $32, call for availability. > Aunts and Uncles “Ralf” business bag, $478, call for availability. > Alessi “Out Time” watch, $200, designed in Italy.